This listing includes the original game CD. An on-screen manual is available within the game. The box is pictured for reference and is not included. 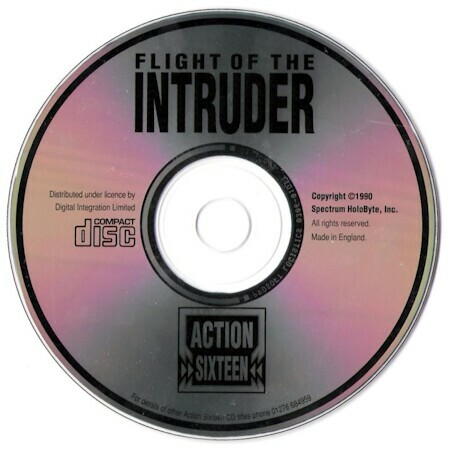 Flight of the Intruder was a sim ahead of its time. This sim features things that we now just take for granted like multiplayer, mission planner, multi-flight missions (with ability to switch plane during mission) etc. The game, inspired by the popular novel of the same name, take you to Vietnam in 1972 during the Linebacker bombing campaign: A campaign that could have given a favorable conclusion of the Vietnam War to the US (this is the last sim dedicated to Vietnam War; USNF '97 does include a Vietnam campaign as a sort of "add on", so does USAF, but still these sims are not specifically dedicated to this war). Here you can fly the A-6 Intruder or the venerable F-4 Phantom. This sim models the intricacies of the Vietnam War quite well. For example, the ROE (Rules of Engagements) sometimes demands that you visually identify a bogey, a practice that practically takes away the Sparrow advantage carried by the Phantom. Ignore this, and you may end up in a court martial! 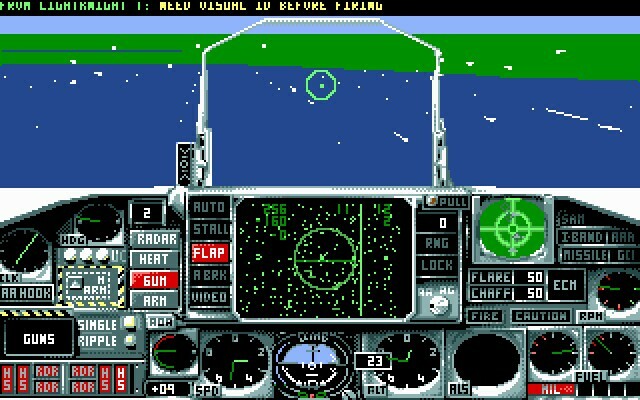 Mission procedures, like setting up a bomb run in the A-6 is also painstakingly modeled here. Even the use of a "bulls eye" in order to refer to a certain point of a map is implemented here. Such a feature only reappears, as far as I could remember, in Jane's F-15 more than 6 years later. 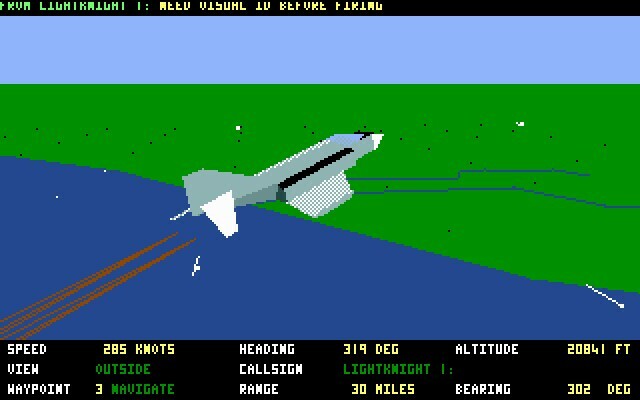 However, like other sims developed by Spectrum Holobyte and Rowan in those days (Falcon 3 and Mig Alley come to mind), the game is highly tunable to suit your preference (yes, you can turn off the ROE, too!). Flight of the Intruder is highly recommended to people who are interested in the Vietnam War, people who enjoy the book (or movie) and in general people who enjoy good flight sim. 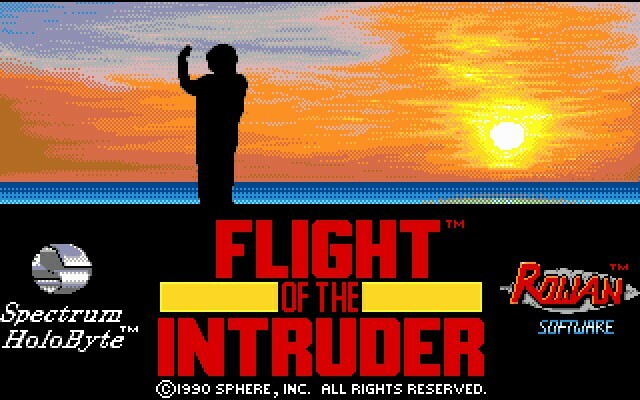 Flight of the Intruder is a sim that belong to the Flight Sim Pantheon, along with names like Falcon 3.0 and Falcon 4.0.